The Bihar Judicial Service Recruitment 2018 has been announced to fill 349 Civil Judge vacancies on the official website bpsc.bih.nic.in. Candidates get the detailed information about the Bihar Judicial Service Recruitment 2018 Notification here. Aspirants who are seeking jobs in the Government sector should make use of this Bihar Judicial Service Jobs Notification 2018. The authority of Bihar Public Service Commission invites application form for the position of Civil Judge from 8th September 2018 to 9th October 2018. Intenders can check out the essential details like Post-wise vacancies, bpsc.bih.nic.in Education Qualification, eligibility criteria, BPSC Civil Judge Selection Process from the below article. Therefore, candidates who satisfy the given eligibility can submit their application directly to Bihar Public Service Commission before the last date. We advise the candidates go through this article carefully to get more information concerning Bihar Judicial Service Recruitment 2018 Notification. 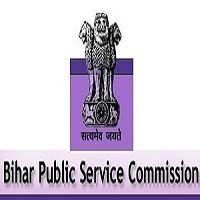 People who are interested in appearing for the Bihar Public Service Commission Recruitment 2018 must have the educational qualification as per the official of Bihar Public Service Commission Notification 2018. Every aspirant should have done Degree in Law and must have qualified all the exams without any backlogs. The entire selection of Bihar Judicial Service Recruitment 2018 will be based on the Written test and Interview. For more info like the post wise education criteria for Civil Judge vacancies, check the official web portal and download the Bihar Judicial Service Recruitment 2018 Notification PDF from the below links. Candidate must be Indian Citizen and also applying people should be medically fit along with given Bihar Judicial Service Age & qualification. Job seekers who meet the given requirements those petitioners are eligible to apply for the Bihar Judicial Service Jobs 2018. Furthermore updates about Latest Government Jobs bookmark our site Freshersnow.com. Candidate should have Degree in Law. And enrolled as an advocate in the role of Bar Council of any State. To know details about Bihar Public Service Commission Pay scale must refer the official notification which is enclosed at the bottom of this page. If you are eligible for this Bihar Judicial Service Recruitment 2018 Notification, then apply. After the completion recheck it.